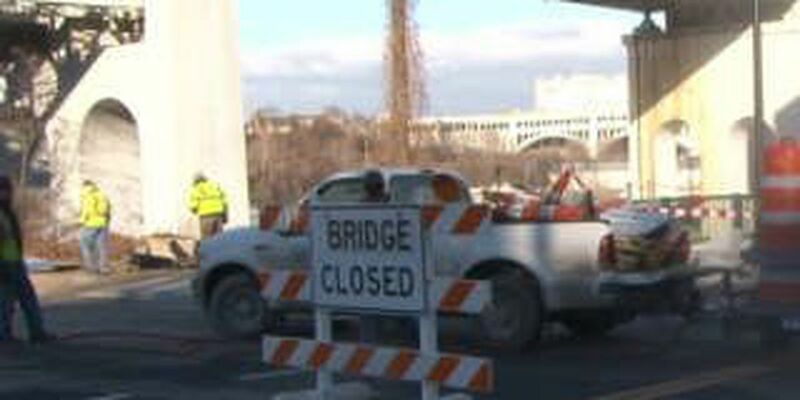 Officials promised to reopen the Columbus Road Bridge in 2014, and they did. But by only a few hours. The target was last summer. It opened Wednesday after the early morning was spent raising and lowering the bridge, testing and training bridge operators on the new structure. The bridge was built off site and ferried to Columbus Road by barge in the summer. Since then it has been bolted into place, wired, painted and calibrated. Tremont resident Peter Kochera came to watch and brought a neat idea saying "raise the bridge before midnight and then drop it like they do in New York City. Put some lights on it, it would be fine. It would really be a ceremony. I think there'd be a lot of people here to watch it." Commuters will welcome the reopening of the bridge, but so will businesses on either end of the bridge whose traffic both on foot and drive by have been severely limited by the closing of the bridge. Pizza shop owner Lou Sainato agrees "lotta people didn't think I was going to survive this, but I'm still here." His pizza parlor is in an area where he now sees new potential. "They just opened a micro brewery next door here and I think a lot more activities gonna be going on here after the bridge opens." The Saint Ignatius crew team lined up to be first across. The bridge makes the trip from school to the boat livery a snap. The opening surprised some drivers including a woman who yelled to workers at finding it open saying, "holy crap, thank you guys."